I've checked out the rules for Osprey's Lion Rampant (Osprey link here and Board Game Geek link here) and discussed them with a few folks, as well as watched some demo videos, and it looks like a fun skirmish game. I'm still trying to get a game on the table locally. 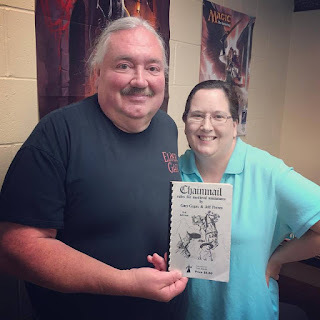 I'm also still awaiting this year's end release of Dragon Rampant, the fantastical successor to Lion Rampant, also to be authored by Daniel Mersey. Still, I'd like to get a game or three in of Lion before Dragon comes on the scene. I've also been looking to see what Osprey Publishing has by way of comparable rules. they also have a rule book by Andrea Sfiligoi called Of Gods and Mortals (Osprey link here and Board Game Geek link here). It is a skirmish-level wargame but with the fantastical elements of gods, heroes, monsters, and legendary elements like that. According to some publisher comments on Board Game Geek, "Factions represented in the rulebook include: Greco-Roman, Egyptian, Japanese, Aztecs, Pre-Islamic Arabs (Arabian Nights), Norse, Celts and Chinese. For every army list, a list suitable models from various manufacturers and scales will be included. New armies may be added as free PDF add-ons, keeping the game fresh for years." Looks pretty good and I like that they make some figure suggestions. 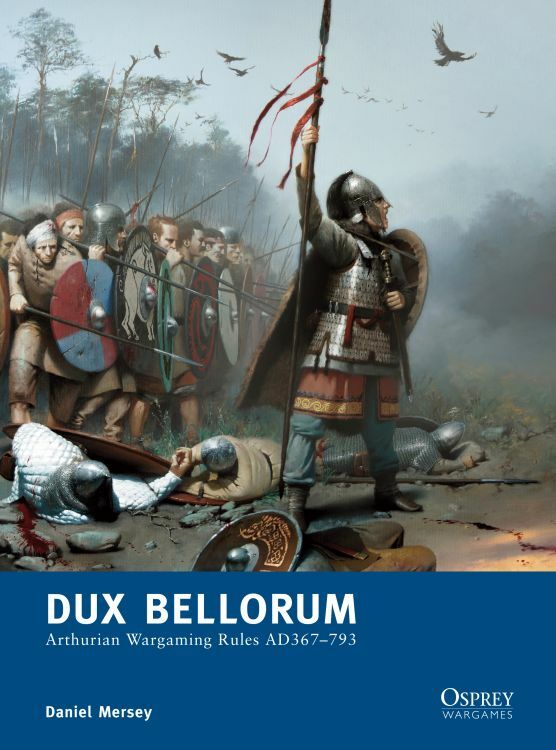 Also authored by Daniel Mersey, from a few years ago there is Dux Bellorum (Osprey link here and Board Game Geek link here). It's set in the Arthurian Age so it supports Dark Age and Late Roman figures and weaponry. It is more limited in scope period-wise than Lion Rampant and also purports to be more of a mass combat game where each figure represent 50 persons. 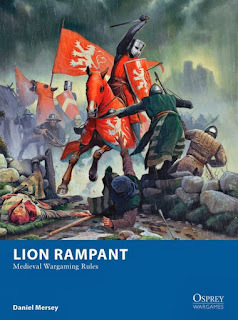 When I stumbled on Lion Rampant, I was casting about for something more like this but for a wider Middle Ages or Medieval period, perhaps even with fantastical elements. I already own and have playted Field of Glory, but I was looking for something with singly based figures but with mass combat army versus army rules. Even so, I might have to check this one out also.